This long sleeved stretch turtleneck has a snug athletic fit and can be worn as a base-layer underneath another garment. 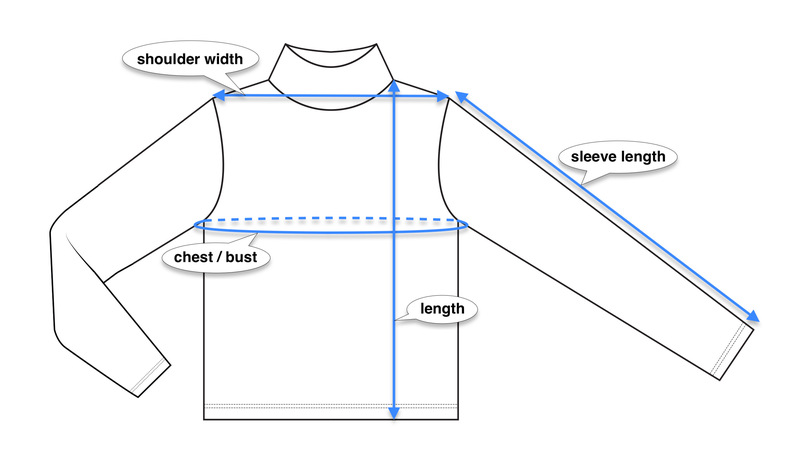 Each of the five sizes can accommodate a 2”-3” range depending on how tight you prefer the garment to fit. Please refer to the size chart below for more info. Please allow at least 2-4 weeks for production. Before placing your order, please consult our Ordering Info → page. Machine washable and dryer safe but please consider conserving energy! We suggest a cold wash & line dry. Do not bleach.